Pick from thousands of micro-entrepreneurs and students to hire for on-demand services in a highly-skilled talent pool. Download Wishu What will you wish for? Become a Wisher today. How to book a Talent. Need to get something done? When on an offer tap "Book". You will then be requested to secure your funds. Don't worry, you only pay when you confirm completion, we just hold it in escrow. Once booked tap the contact icon on the offer screen to get in touch with the talent you hired and discuss any relevant information. When the job is done, it's up to you to say when you will pay. On the offer, tap "Confirm Completion" and you're all done! Hiring on-demand talent has never been easier. Whether you're looking for freelancers for business ventures or otherwise, find affordable talents in areas such as Tech, Arts, Education, and Health & Wellness. From designers to makeup artists, from videographers to dancers - we have it all. Wishu accommodates many talents in emerging markets ready to book in a simple and easy process. Not a Wisher? Become a talent. Build a personalised profile to showcase your talents to the world. Next, verify your account in order to start posting. Tap the ⊕ icon in the navigation menu to post an offer including a title, description, cover image, price, and pin its location to the map. Share your talent with a link generated for your offer. When booked, contact with the Wisher and begin work. When finished ask the Wisher to confirm completion and give you a review! Pioneer users are newly joined members within the first year of launch. You'll be a part of a fresh community determined to see Wishu grow successful. 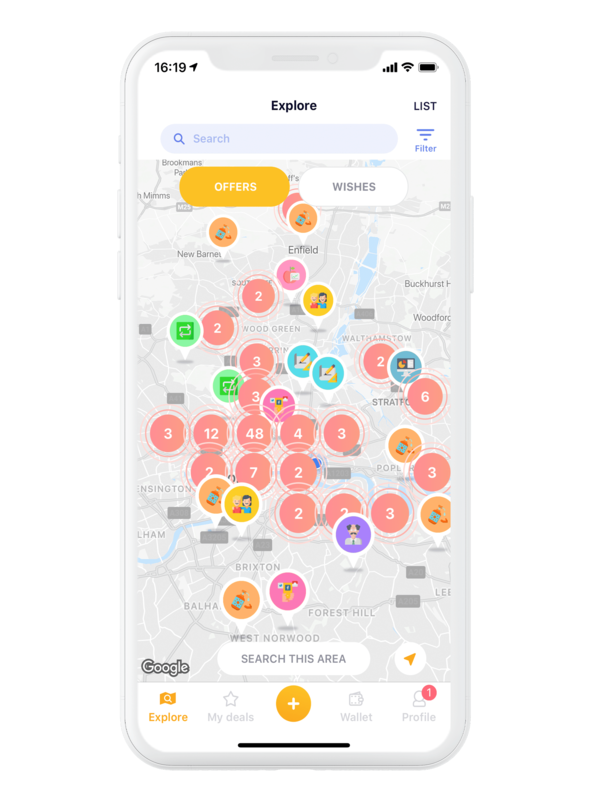 Simply register on the app today and join automatically - you will have the opportunity to become a brand ambassador, provide valuable feedback, and be responsible for growth within your area with the help of our team. Start earning through a simple process of posting your offer and being booked by buyers. Join a community of micro-entrepreneurs with unlimited talents. Build and monetise your talent portfolio. Create your talent profile and start building your reputation. 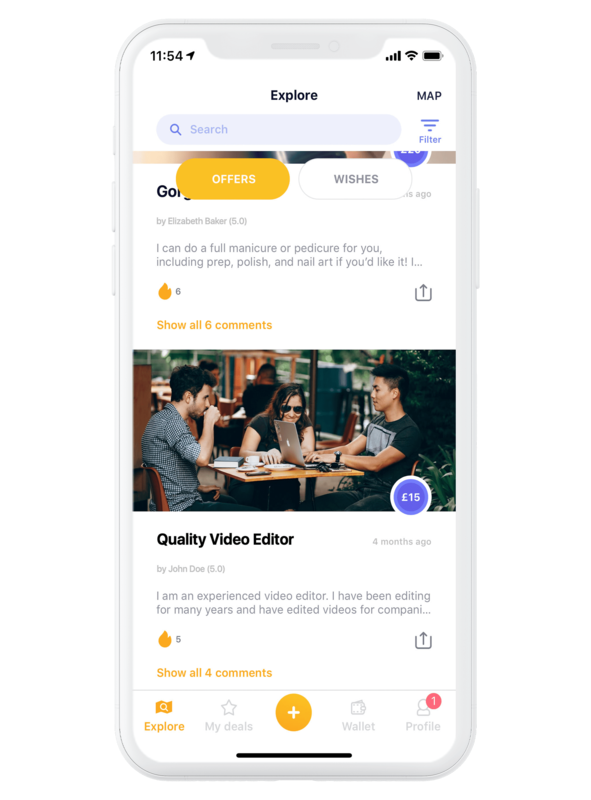 Wishu provides a marketplace for you to earn money with your unique talents, to build your portfolio of work, and to network with like-minded individuals. Be reviewed by your customers and review talents you've purchased. Be notified for any customers, comments, likes, and follows you get. Reach a wider audience through sharing your talents on other platforms. 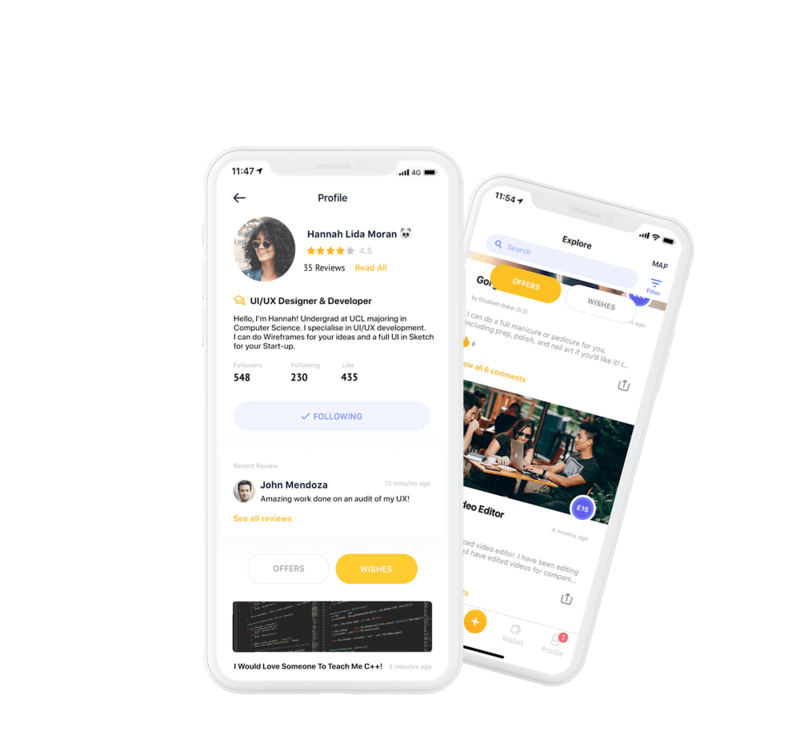 The Wishu team is fully dedicated to building the go-to portfolio-career platform while supporting a management suite of tools and services for the next generation of micro-entrepreneurs. Find us on AngelList, Crunchbase, and LinkedIn for more information on the team. Found on the iOS App Store & Trustpilot. Wishu is an amazing app! I no longer need a part-time job because I can make enough money from doing photography for students, social media influencers and businesses that contacted me through Wishu. Highly recommend!! This app really helped me out when I was looking for a tutor. It was straight forward and got me in contact with an economics tutor in such a fast and efficient way. I would highly recommend it! Got the app when it first launched and it’s fantastic! Love how they constantly update the app with new features 🙂 I would really recommend it to university students for making money! Want to advertise on Wishu? Contact us for details. 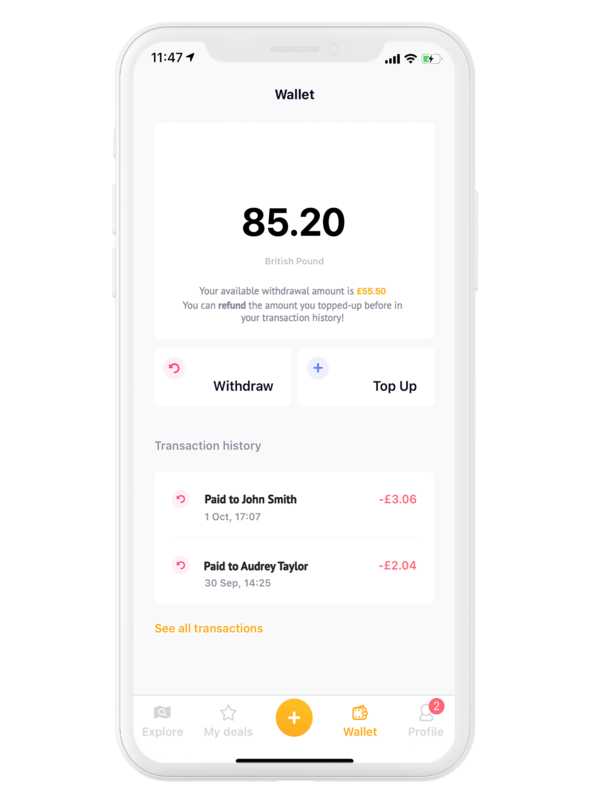 © 2018 Copyright, All Rights Reserved by Unicoin Ltd.